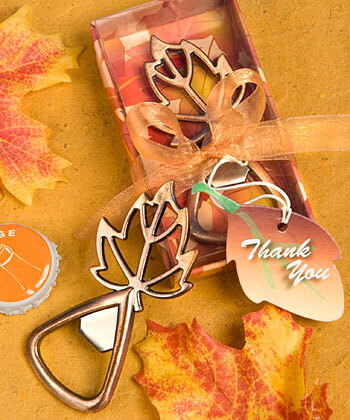 Seasonally gorgeous, this Fall design bottle stopper can only be described as stunning. Carefully hand painted and hand crafted to convey the feel of the season, the practicality of this favor will be much appreciated by your guests. Comes packaged in a clear display box with printed base with white organza ribbon and D’Lusso "Thank you" tag. Another quality favor by D’Lusso Designs. Measures: 4"H x 1.25"W Weight: 0.3 lbs.